This is a terrific Albarino from vineyards planted in 1978 on granite and slate-based soils. The vineyards are located next to the Miño river in Galicia (North West of Spain) within the Condado de Tea subzone of Rias Baixas. Out of the 5 subzones of Rias Baixas, Condado de Tea is the most southern subzone and furthest from the Atlantic Ocean. Out of the 200+ indigenous grapes found in this area, Albariño is the queen. The winemaker Rodri Mendez is no less than Raul Perez's disciple and right hand man. In fact Columna is vinified in the same winery were Sketch (the under the water wine) is produced. 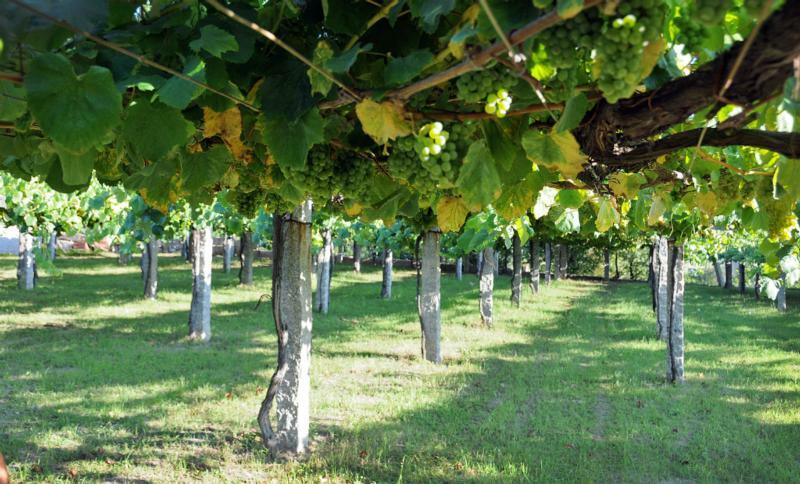 The goal in producing Columna is to showcase the purity of the Albariño grape in a 100% unoaked style from a unique micro-clime that produces richer fuller often more balanced Albariño wines. The vineyards that produce this expression of Albariño are tended in the local and popular Emparrado trellis system, which was invented by the Romans during the 2nd century to maximize air circulation allowing for a better, drier ripening season.